The island of Runmarö is located south of Stockholm. 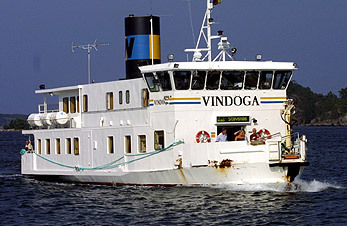 The nearest port is Stavsnäs Vinterhamn, which is reached within 40 minutes by buses leaving from the bus terminal of Slussen, centrally located in Stockholm. Then remains a 10 minutes trip by regular ferry. No car transfer to the island; you will have to leave your car behind. More information about service, weather and general facts can be found at the open discussion forum Runmaro.ifokus. Viträsk is "our" lake. 2 km long and the largest lake of the island.